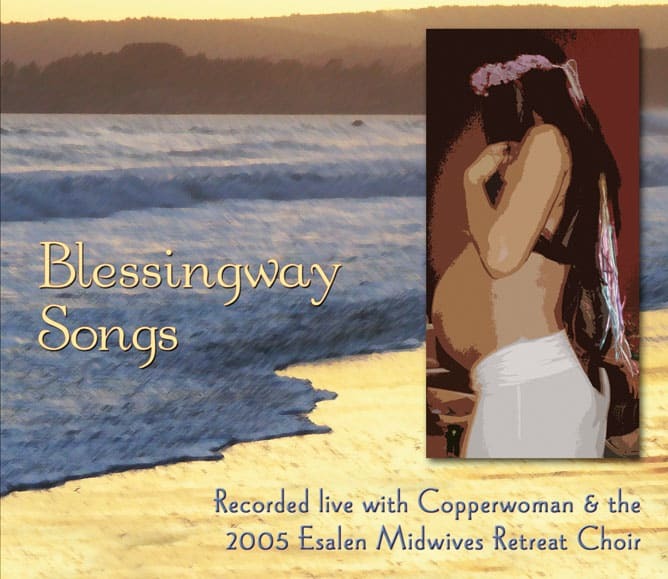 In 2005 Copperwoman with the Esalen Midwives Retreat Choir spent a weekend at Esalen singing many of the "collected" birth songs and several Copperwoman originals. On Sunday we went into a studio in Big Sur and made a live recording of our favorite ones. 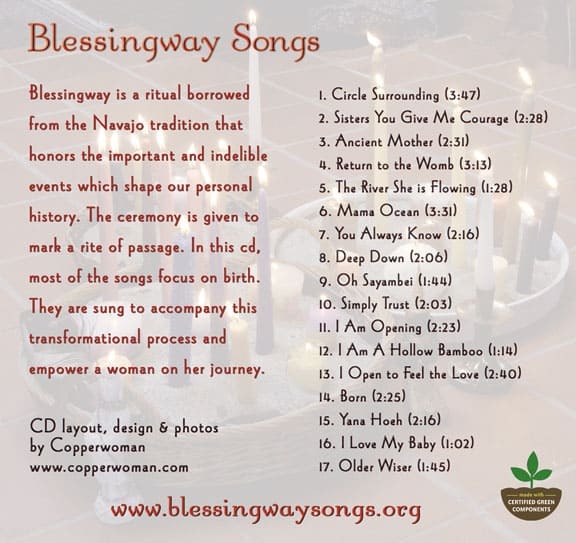 The result is this CD of Blessingway Songs. 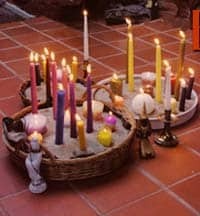 Blessingway is a ritual borrowed from the Navajo tradition that honors the important and indelible events which shape our personal history. The ceremony is given to mark a rite of passage. In this cd, most of the songs focus on birth. 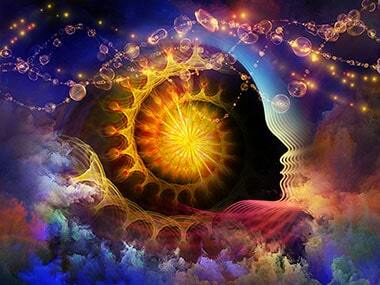 They are sung to accompany this AND OTHER transformational processes to empower a person on her/his journey. Click here for the a song lyric pdf. are original songs by Copperwoman. The rest of the songs we have learned singing in cirlces over the years. We wish to thank the unknown-to-us artists for their contributions to the song world. Purchase the CD or download tracks from CD Baby below. By the following October, I was completely healed and feeling strong again. I traveled down to the midwives retreat at Esalen in Big Sur and met with my singers at Friday evening dinner. 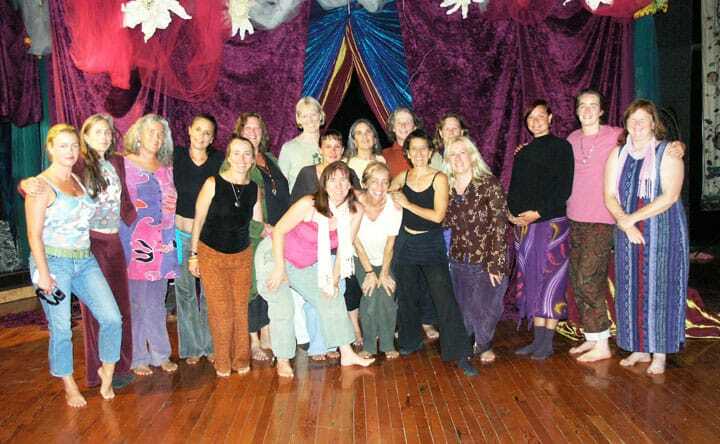 The group consisted of several midwives and a few singing friends I had invited to join us. After dinner, we began the retreat with introductions and some singing. I passed out songsheets of original and traditional songs appropriate for Blessingways. My vision was that we would sing songs throughout the weekend and together decide which ones to do. I guided the group using my years of experience leading singing circles. I supported everyone with their talents and skills and called on a couple of women to help lead and direct. When Sunday morning came, I was a bit overwhelmed and wondering how I was going to pull this off. “How are we going to choose about 15 songs from over 30?” My friend took me aside and gave me the talk I needed. “Now it is your turn. You know, and it is for you to decide and lead.” I looked over the list, remembering our rehearsals and started to put the songs in order. What is our best? Which ones must we do? Which ones can we let go of? Meanwhile, I did the most important thing which was to let go and let Spirit guide. After lunch, we headed to Barklie Henry’s Hidden Barn Studio further north in Big Sur. Here magic ensued. After grounding ourselves with a circle and prayer we started by singing “Calling in the Angels,” around 2:30 and proceeded to sing song after beautiful song. We listened to each one after recording it and repeated a few; several were ok on the first take. I was getting very tired and had to give over to spirit for the strength I needed to continue to play, sing and lead. Around 7:30 pm we had recorded 19 songs. Jack, our engineer did an amazing job, making us sound like we were singing in a Cathedral. I am still utterly impressed how we came together as women who had never sung before in this grouping and produced such an amazing sound. It was truly a Divine experience, blessing and gift. In the time that followed, I returned to the studio with one of my singers and we remixed songs and added more harmonies to some—making the recording even more beautiful. After the recording was complete, I still had work to do. Being rather a “Rennisance Woman,” it was my job as well to create the CD graphics and website. This process was no less magic than the recording itself. After asking a few other people for pictures of Blessingways, I realized that I had taken some myself and I should look through them. There it was, the image for the cover—a pregnant woman having her hair brushed, and feet washed surrounded by women, young and old. I proceeded to lay out lyrics for all of the songs on the inside of the CD jacket, which by the way, is made of cardboard with no plastic case or shrinkwrap. Then, the disc art—after thinking about it for awhile and trying different things, the inspiration came to me. “I am going to make the disc a mandala—and I can use the logo I developed for the midwife retreat flyer.” And so it unfolded in beauty and magic. Update: It was time to make more copies of the CD. Somehow the word has traveled world-wide and I have sent CDs to Great Britian, Ireland, Brazil and other places I cannot remember. This time, I had firsthand artwork to use. My daughter Jody, was pregnant and I called my powerful sisters together to give her a blessingway. The new cover of the CD is a picture of her next to an ocean shot from Seabright Beach in Santa Cruz.